Up until now, whenever I need to carry my passport, it was usually carried in one of three ways: either loose in my pocket, creating extra bulk with my wallet already there; in a passport case that’s too big for my pocket, which means one more thing to carry around; or in a pouch in my backpack, which is the best of the three options, but still less convenient to get to. Not anymore. Introducing the JGL Minimalist Passport Wallet. I have a great habit of cleaning out my wallet every few days. It might be a sickness. I don’t like a bulky wallet and I’m constantly cleaning things out of there, which migrate to it that I don’t need. The JGL Minimalist Passport Wallet will help you stay organized and you carry what you need. Plus it’s secure. Choose the optional snap closure (pictured) or the shock-cord elastic band which is stitched onto the wallet to keep your essential items right where you need them. The JGL Minimalist Passport Wallet is made of the highest quality cowhide – the same 6-7 oz leather as our holsters. It’s super sturdy and will stand up to whatever adventure you take it on, but lives up to its minimalist name with it’s sleek, non-bulky outlines. It’s available in light brown, mahogany (pictured) and black, and sells for just $50. For an even more luxurious feel, choose horsehide leather and add $15. 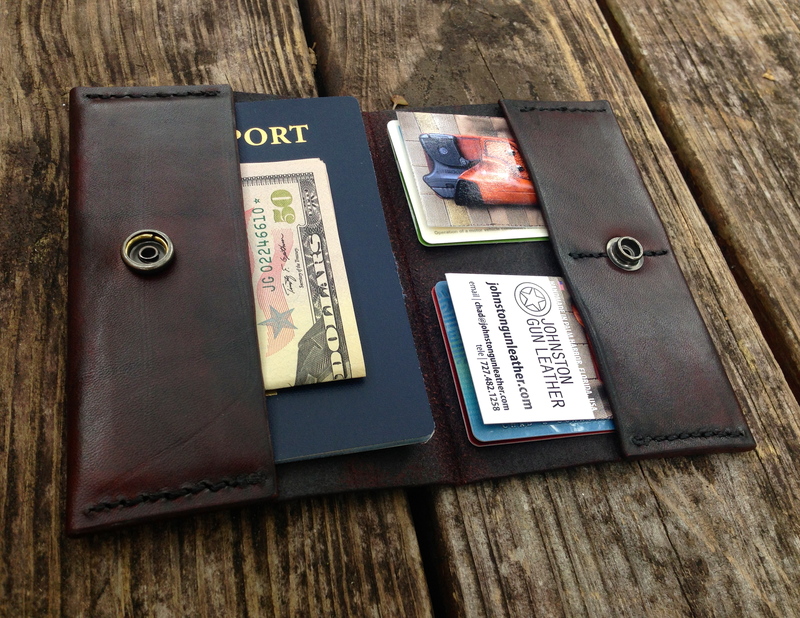 You’ll love the great attention to detail and care put into each custom made wallet. 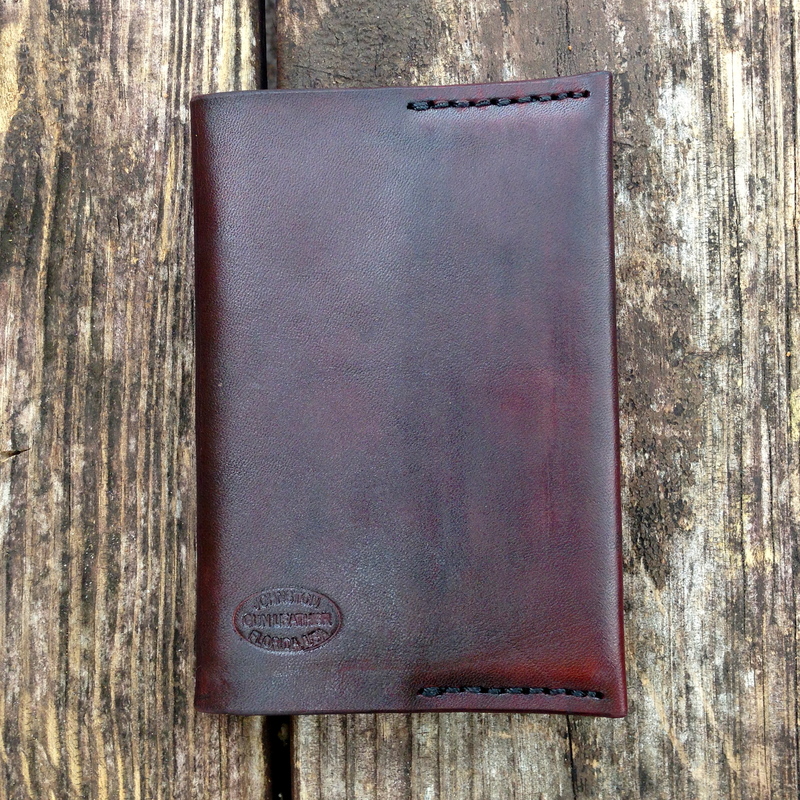 Contact me at chad@johnstongunleather.com today and let’s get started on the last wallet you’ll ever need.